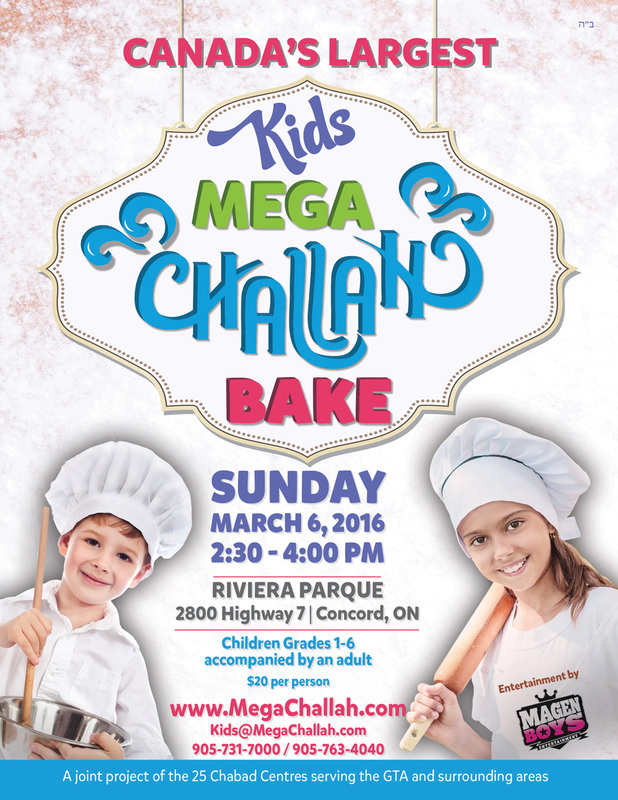 What: Canadas largest kids mega challah bake! Cost: $28 per child (all inclusive). We will meet 12pm (following Hebrew school) at the Mapleview Heights Elementary School, 180 Esther Dr. Barrie. We will enjoy lunch in one of Toronto's Kosher restaurants and then join the Challah bake program. We will be returning to Barrie at 5:15pm. If you would like to have your child join the program, please complete the RSVP form below at your earliest convenience, as space is limited. If you are able to volunteer and help out with transportation, please let us know. ​If you would like more information about this program, do not hesitate to contact us.